Vaccinating animals to prevent common diseases is a practice used by both pet owners and livestock producers. They are the safest and most effective way to prevent disease. Planning ahead gives maximum protection - A vaccination program should be completed a week or two before exposure. For our pets, vaccines are given by veterinarians as part of routine visits. 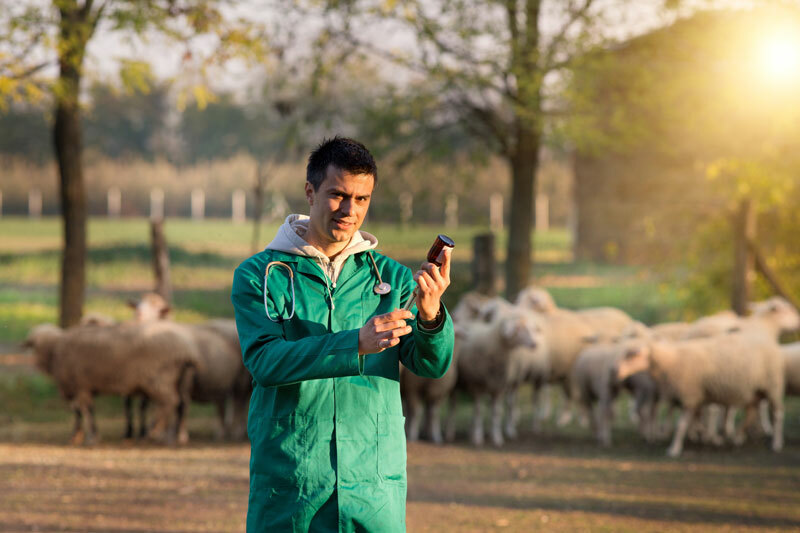 For livestock, vaccines should be used within a veterinarian-client-patient relationship and may be given by the veterinarian or the farmer depending on the situation. Vaccines are developed to help provide immunity against a specific disease. Depending on the needs of your animal, a veterinarian may prescribe one or more vaccines which may be given together or following a schedule. Sometimes a booster, or second dose, is needed to increase immunity to the level needed to protect against disease. Veterinarians are able to select from a broad range of vaccines developed to help prevent or reduce the severity of specific diseases that threaten pets. All vaccines offered for sale in Canada must be registered with the Canadian Centre for Veterinary Biologics at the Canadian Food Inspection Agency. For more information about how this process works click here. If you have questions on specific vaccines or animal health products, talk to your veterinarian. Your veterinarian is the best person to provide you with guidance on what vaccines are most appropriate and when they should be given. For what you can expect after your pet is vaccinated, click here. Vaccines may contain killed or live bacterial components, inactivated viruses and their components, or modified live viruses and their components and all result in immunity against disease. Some also contain inactivated toxins, called toxoids, to protect against the disease-causing toxins produced by bacteria. Vaccines can be given by an injection, using a spray into a nostril, or by mouth. Vaccines, bacterins and toxoids work by urging the animal to ‘turn on’ its own immune system. By giving the animal early exposure to a disease-causing organism, the animal’s immune system remembers it and is better able to quickly fight off infection when it comes into contact with the disease again. Can you expect 100% protection? Not always. The effectiveness of a vaccine can be affected by nutrition, stress, and subclinical (low level) infection. Whether or not the animal gets a disease depends on the animal’s level of health at the time of exposure compared to the amount of disease-causing organism it is exposed to. Animals that are sick at the time of vaccination, or under severe stress, may not mount a protective immune response to any vaccine(s) they are given and as a result may not resist infection. Supportive care includes making sure your animal has good nutrition, good housing (e.g. not drafty, extremely hot or cold), fresh water and a clean environment to maximize immunity.